I know it's a bit early but my plans were to go to Annapolis next weekend. Florence is supposed to hit the East Coast late this week. Preliminary forecast is solid rain and 20 mph winds. It still may swing more to the south. A small chance it turns north. If its hit head on to NCarolina. Dont be surprised if game delayed to Sun. If it heads north. We lose a paydaynbut gain a bye week. In theory, if the game needs to be rescheduled due to weather, it could incredibly be moved to September 29th because both Navy and Lehigh have byes that week. The issue with this storm is if it stalls out and creates massive flooding. Right now, Virginia looks to receive the most rain from the storm, but Annapolis is on the edge of the heaviest projected rain location. If the storm projections are reasonably accurate, it is likely that White Sox/Orioles game in Baltimore won't be played that night, which would help me a little. Also, if Temple/Maryland and/or Lehigh/Navy are postponed, both could be rescheduled to dates that work for me. 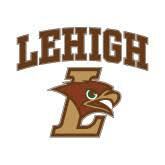 *Lehigh/Navy: As was already noted in a separate post, both Lehigh and Navy share a bye week on 9/29, so their game could easily be rescheduled to that day, assuming Navy doesn't have any events planned at Navy-Marine Corps Memorial Stadium on Saturday 9/29. *Temple/Maryland: The logistics for rescheduling this game are a little trickier, but are very doable if Illinois cooperates. Temple's bye week is on 10/27, while Maryland's is on 9/29. However, Maryland's opponent on 10/27, Illinois, also has its bye week on 9/29. (Incidentally, what's with so many teams having their bye week on 9/29?) If Illinois would be willing to move their road game against Maryland from 10/27 to 9/29, that would allow Maryland to move their home game with Temple from 9/15 to 10/27, assuming Maryland isn't using Byrd Stadium for other purposes on Saturday 9/29. Not much change in forecasts as of noon today. By Tuesday evening Ny weatherman says we should be able to pinpoint where Flo will hit. Fingers crossed. I have family in the Hilton Head area. They are preparing and heading up to my sis in law In Germansville Pa.
Flo about 100 miles wide as cat 4 on the coast. Going to move inlandvas a tropical storm and sit. Tropical storms are typically 300-400 miles wide.. Expected to drop 10+ inches. I'm told that Navy has every expectation that the game will be played. They played in awful conditions last weekend. Lightning/thunder could be the difference maker. We'll learn more on Thursday when it hits. For those planning on attending the tailgate, the tent is already up and ready to go. I was just told that of the Lehigh festivities are cancelled for the game and that Navy cancelled their parade of midshipmen. I was also told that there is already flooding in Annapolis due to storm surge and some decent rain this week. Conversely the forecast has been changed to partly cloudy, 20% chance of rain 79 degrees but windy. Go figure. Weird weather. Guess info will firm up some bt Wed nite or early Thurs. Landfall now for early Friday. . Thanks for news on Ayir. Hope the young man is not seriously hurt.